Music has the power to not only heal but bring people together. From Woodstock to Coachella, music festivals and concerts have been the avenue to be in harmony with the world and the people around you. If you’re the great concert organizer, then you know how important it is to get the word out in all possible ways. Concerts and festivals are not only a big deal to the audience, but to the people who make it happen. 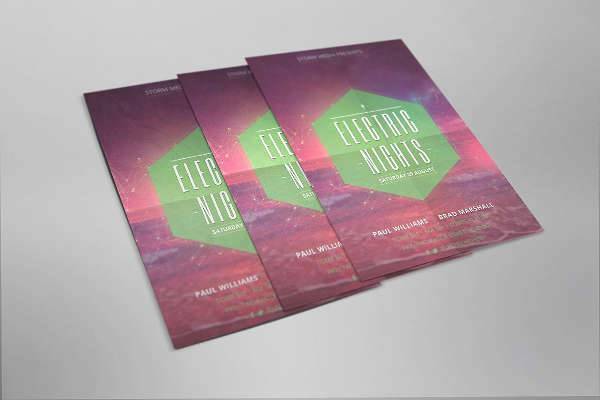 With our list of music flyer designs, gather as many people as possible and give them a night to remember. 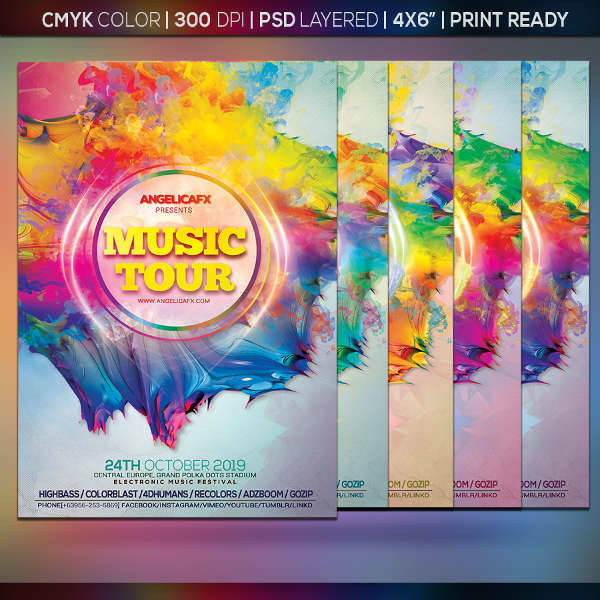 Let our downloadable flyer designs bring out the magic of music, and let it shine through in your flyers! We are aware a concert is a live music performance with an audience; but do most of us really now what type of concert we’re attending or organizing? Unless you consider yourself a music-savvy individual, who knows all the different music genres, the songs you listen to are likely clumped in one category as long as you like them. Just so you don’t embarrass yourself in front of fans of whatever band or artist, here’s a brief overview of some music genres you might want to get to know. 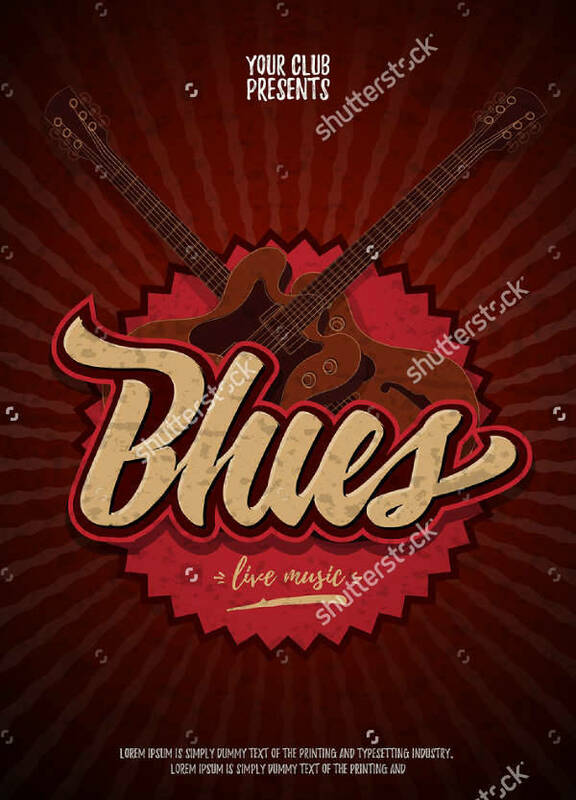 Rhythm and Blues is something we all now know as R&B. It emerged from the African-American lifestyle in the 1940’s. You’ll often hear the piano, saxophone, and the occasional background vocals that are just heavenly to listen to. R&B definitely makes you feel the pains, joys, and the African-American quest for freedom. 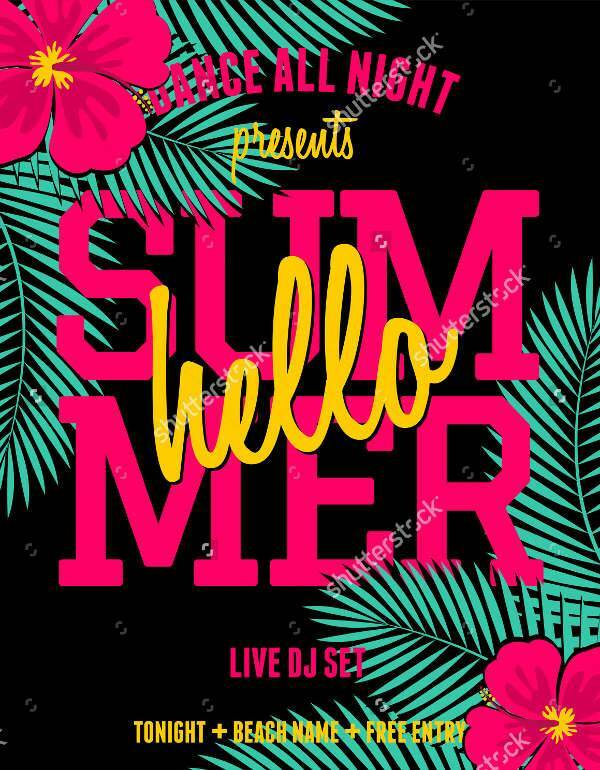 As the genre evolved, Contemporary R&B from the 80’s until the 2000’s combined elements of soul, funk, hip hop, and dance; producing artists like Stevie Wonder, R. Kelly, and Micheal Jackson. Rock & Roll was the jam of the late 1990’s. It’s a common misconception that Rock & Roll is all about hard beats and screaming, but that’s far from the truth. It actually got most of it influence from the jazz era, combining R&B and country music; with the piano and sax now supplemented by guitar. The evolution of Rock & Roll paved the way for alternative rock, indie rock, and punk rock. 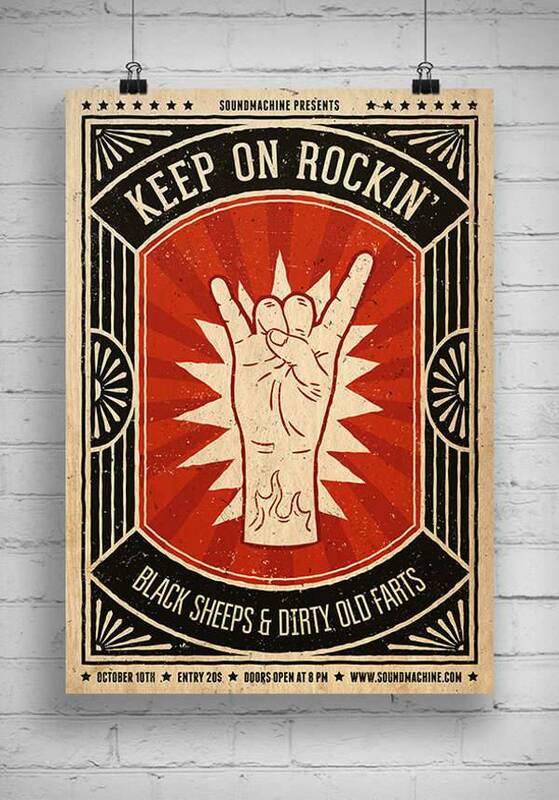 You might be familiar with the best of Rock & Roll: The Beatles, The Rolling Stones, Pink Floyd, Aerosmith. Jazz was a major form of musical expression since the 1920’s. It’s a soulful and classy introspection into the African-American culture and history. Jazz is characterized by swing, blue notes, polyrythyms and improvisation. The exploration and evolution of jazz music has developed different sub genres today like jazz-rock fusion and soul jazz. The most influential Jazz artists you (or your grandparents) might know are Duke Ellington, John Coltrane, Billie Holiday. Electronic music combines the use of electronic musical instruments with that of technology in the production. 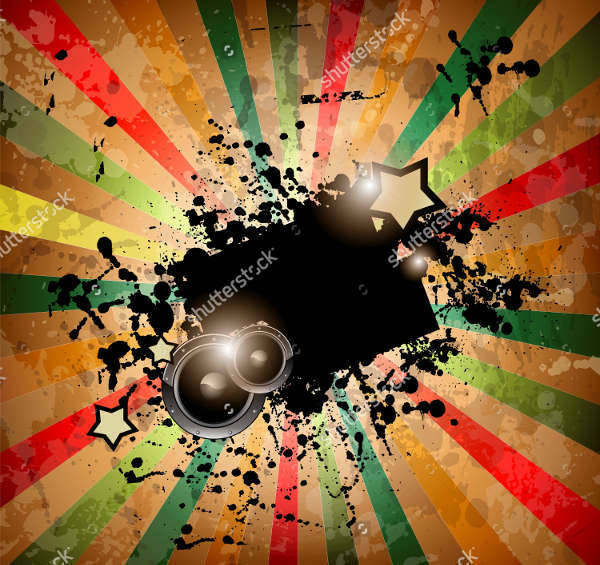 It started having a significant influence on popular music in the 1970’s and was completely adopted by the 80’s, producing famous genres like disco, new wave, and synth pop. They are as experimental as they are upbeat and energetic. 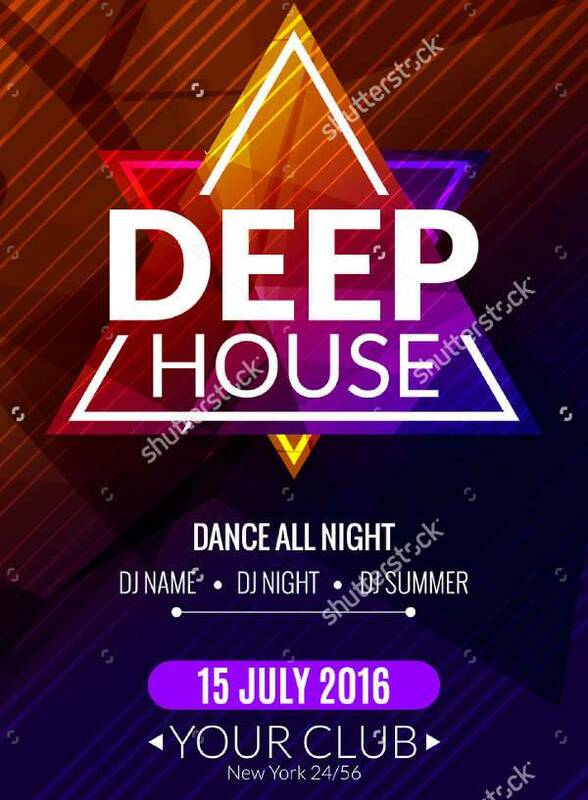 House music or club music is among the famous genres in the 80’s that is still embraced by pop culture today. 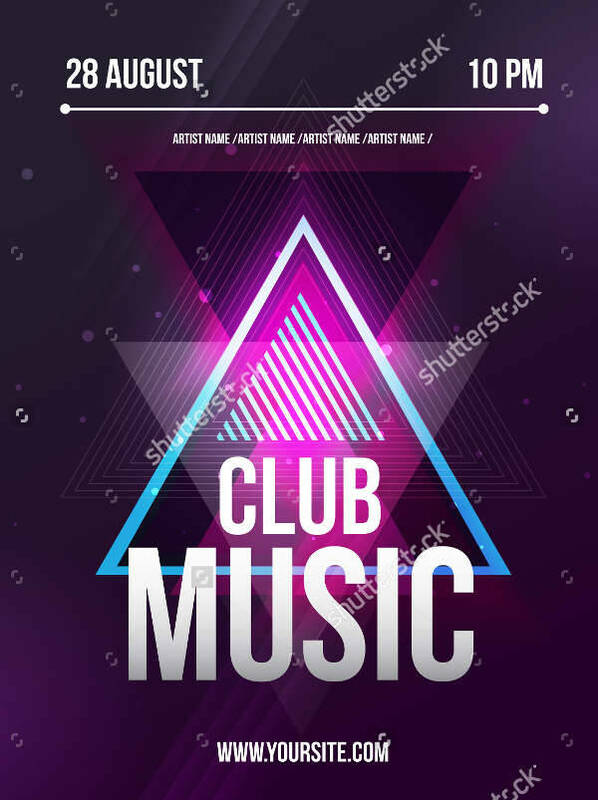 Its sub genres, tropical house, deep house, and acid house are among the dominating genres in music festivals and concerts. Getting to know different music genres is not just brain and soul food for the regular music lover. They are especially handy when you’re an organizer of music events, concerts, or festivals. Getting a good grasp on music genres means getting a clear image of their culture. 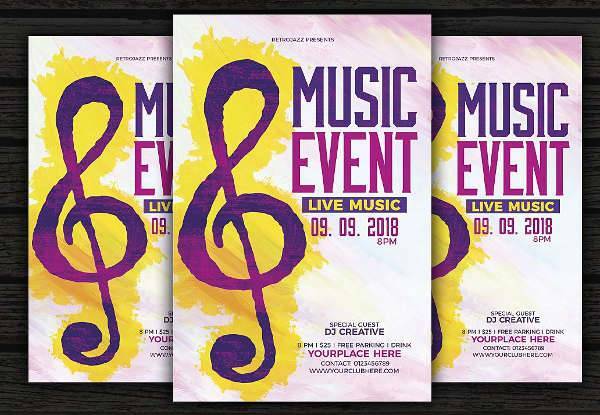 The lifestyle and culture of a music genre is what attracts the right market, and should be clearly seen in your event flyer. 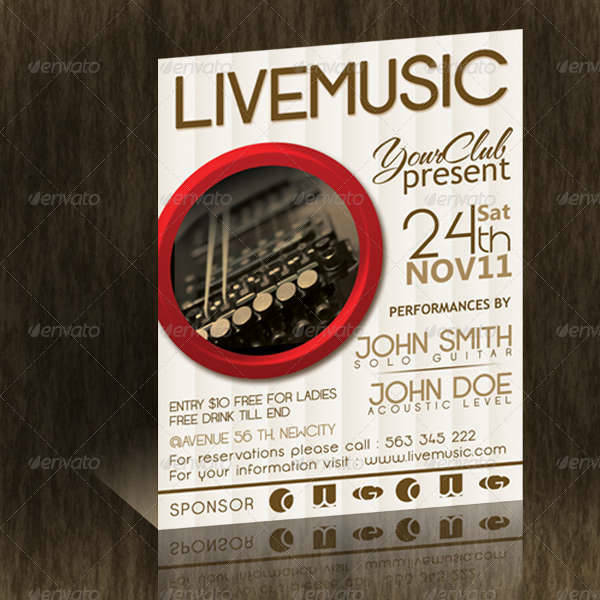 Incorporating that in your flyers makes your concert authentic and valuable. A music festival is a music event that’s completely different from a regular concert. For starters, there’s a wide of variety of bands and artists that are featured depending on the music theme, genre, nationality or holiday. Music festivals are also inclusive of other features and attractions like live art installations, food and merchandise. They are commonly held outdoors, and can be annual or once-in-a-lifetime events for profit or for specific causes. 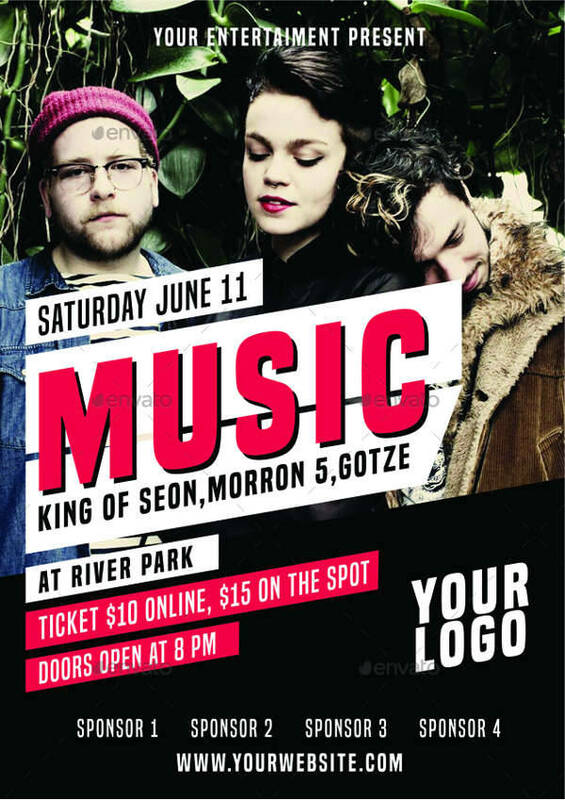 Flyers for music festivals are often challenging because they feature a variety of artists whose genre and aesthetics my differ from one another. The key is to be consistent with the festival’s overall theme. Rock concerts are not your typical formal events where you dress to impress and relax in your seat while listening to a live orchestra. They are the complete opposite. 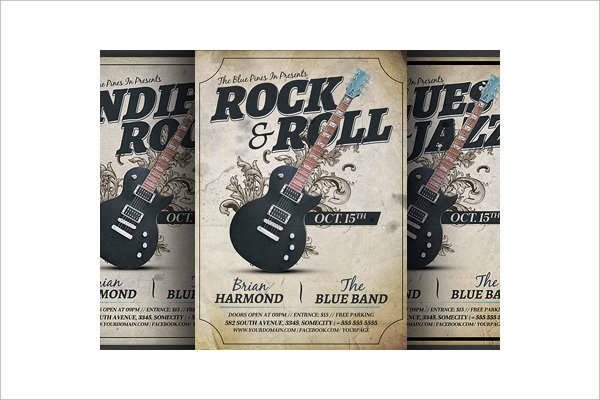 Hard beats, loud screams, and an energetic crowd jumping and singing along to the rock & roll-inspired music of today. 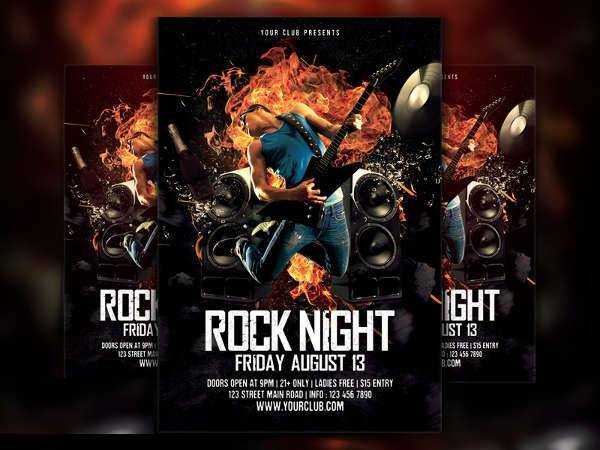 Their flyers, therefore, should be as bold and hard-hitting as the bands they feature. Dark colors like black and red are commonly used with large, bold fonts for the necessary information. 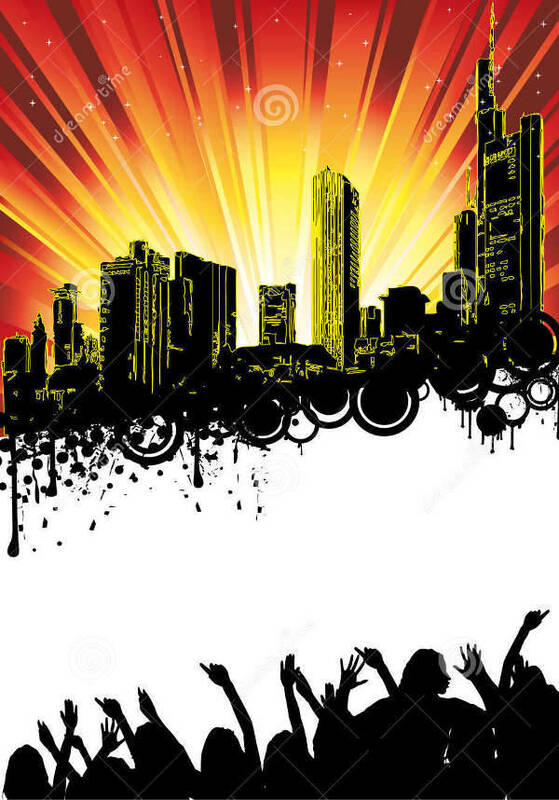 Events featuring electronic and house or club music have a very futuristic aura to them. Because of their experimental element, their flyers are usually abstract and eye-catching. 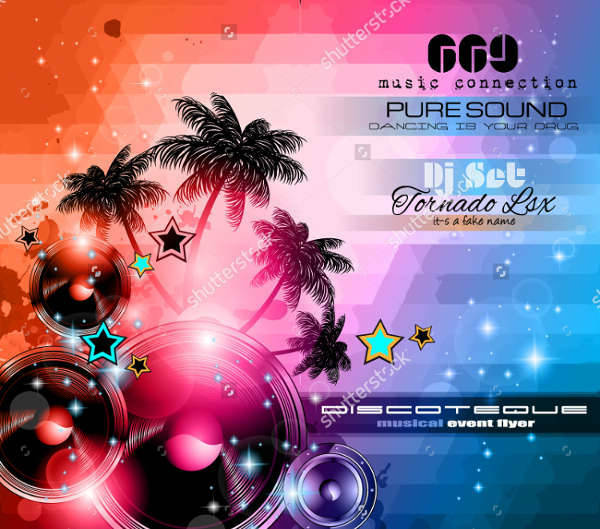 Concerts and festivals featuring disco, electro or acid breaks are lively and upbeat. Their flyers are usually colorful and psychedelic. 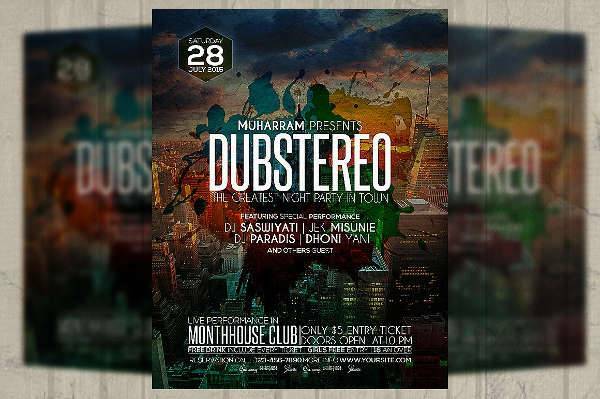 Events that lean toward dub step, down-tempo, and drum and bass sub-genres are more neutral and mysterious. 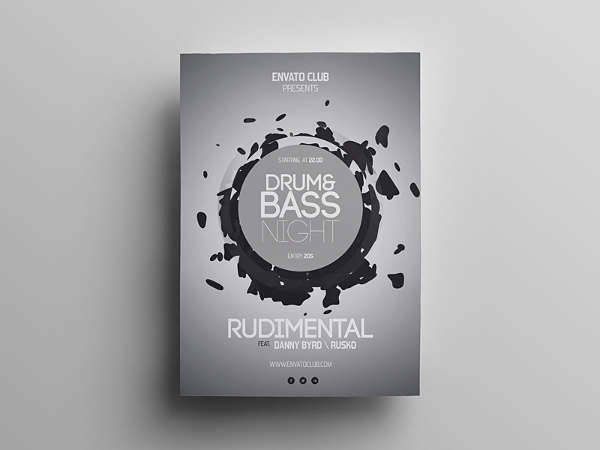 A DJ flyer design can have monochromatic colors with futuristic elements. 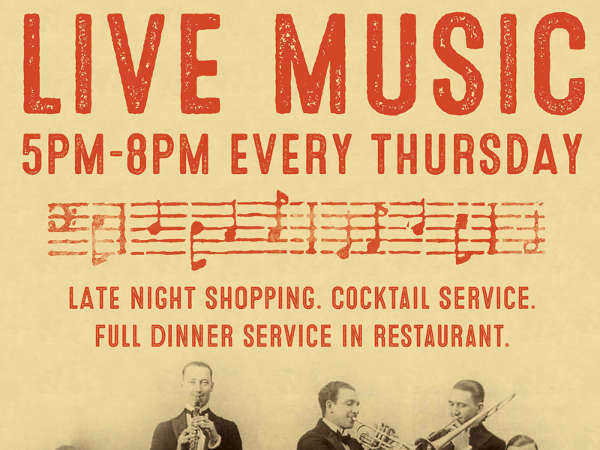 Vintage flyers are appropriate for classical music and jazz concerts. 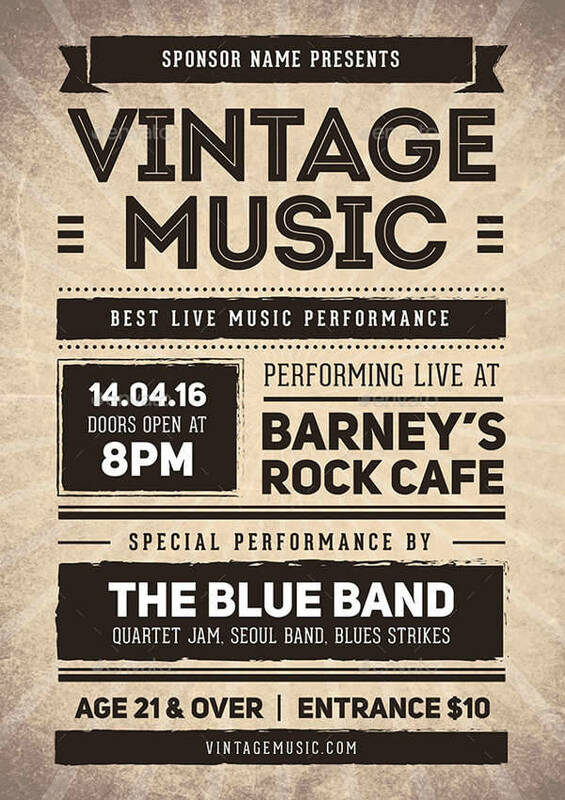 They are also used for throwback concerts or music events that feature some of the best music from 20 to 50 years ago. 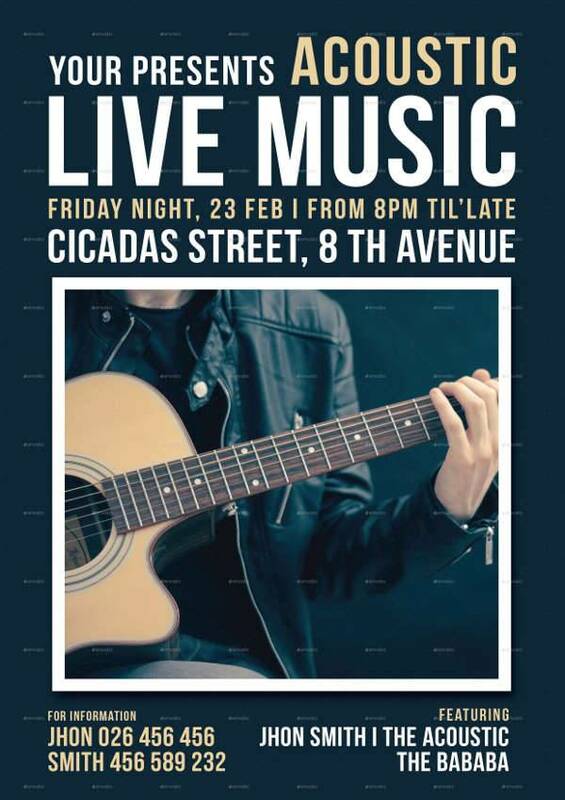 Cover bands and acoustic nights dedicated to The Beatles or Nirvana can incorporate vintage themes and elements to their flyers to make the event more nostalgic. 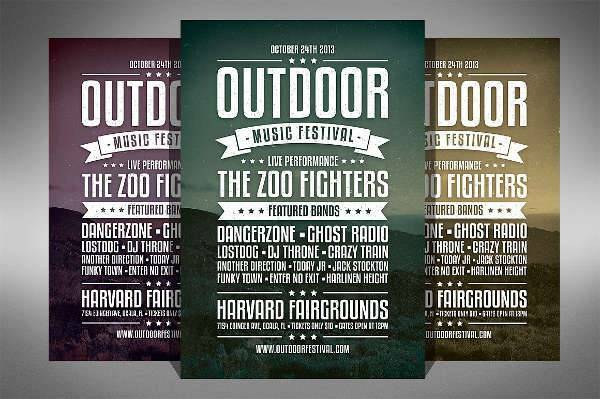 Events featuring indie bands look great in a rustic themed band flyer. The country-like and dreamy quality of rustic themes and shabby chic are somehow in tune with indie folk and indie rock music. 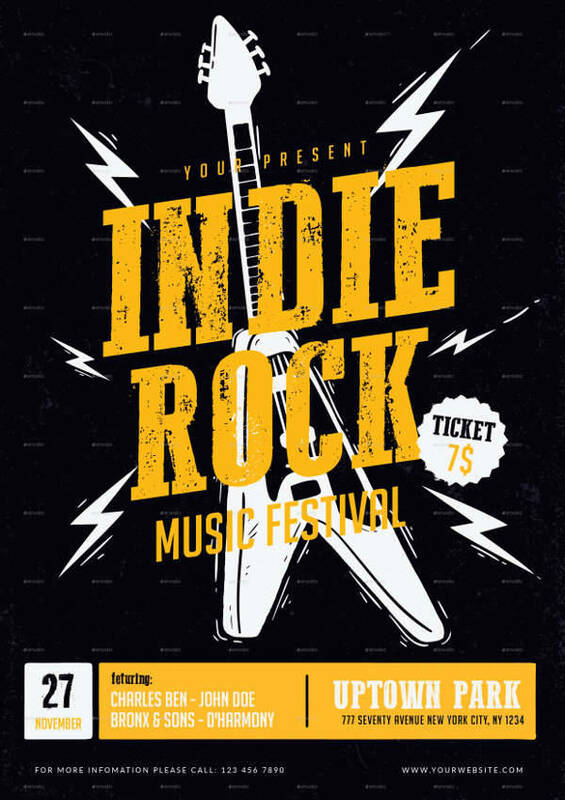 A light and natural color scheme with a bold but subtle choice of font style are what usually constitute a rustic themed flyer for an indie concert. 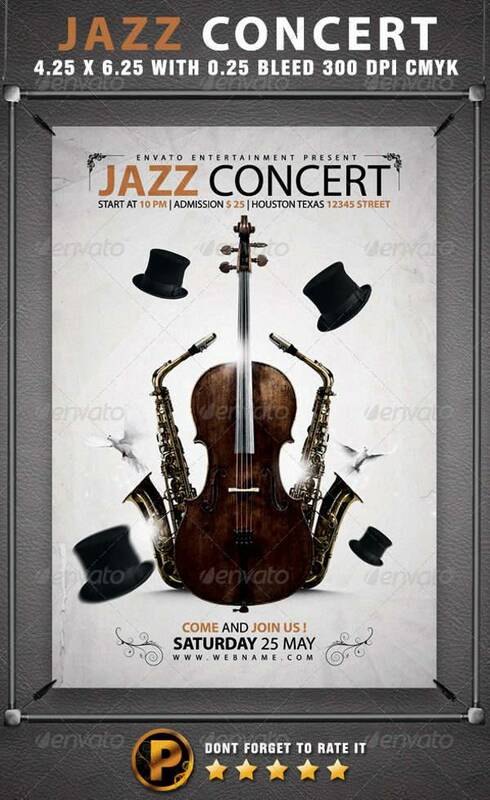 Jazz concert flyers are not only limited to vintage-themed flyers. 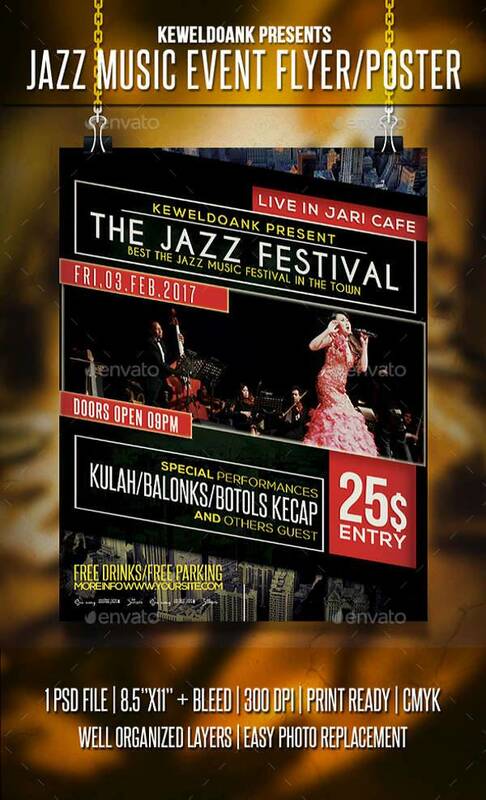 The flyers for contemporary jazz and R&B events are more sleek and debonair. There’s minimal use of colors with simple and elegant text. Some are more colorful if it best suits the music style of the artist. 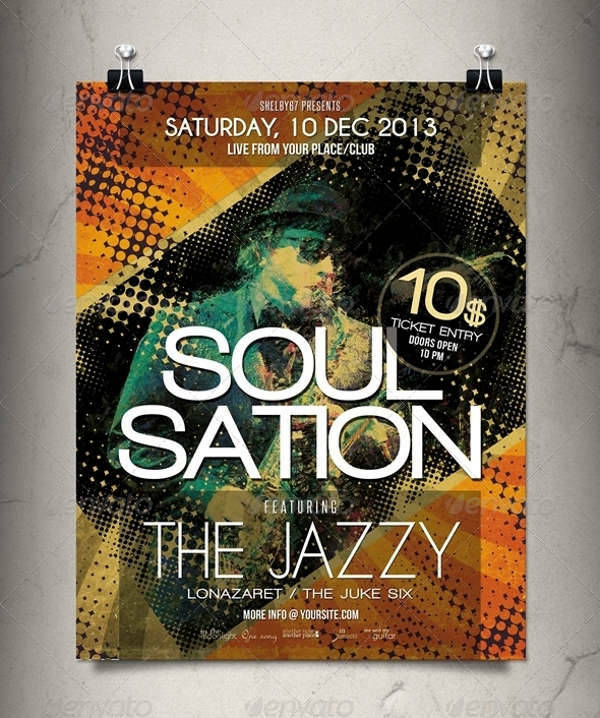 Their flyers best embody the soulful suave jazz and R&B artists have. 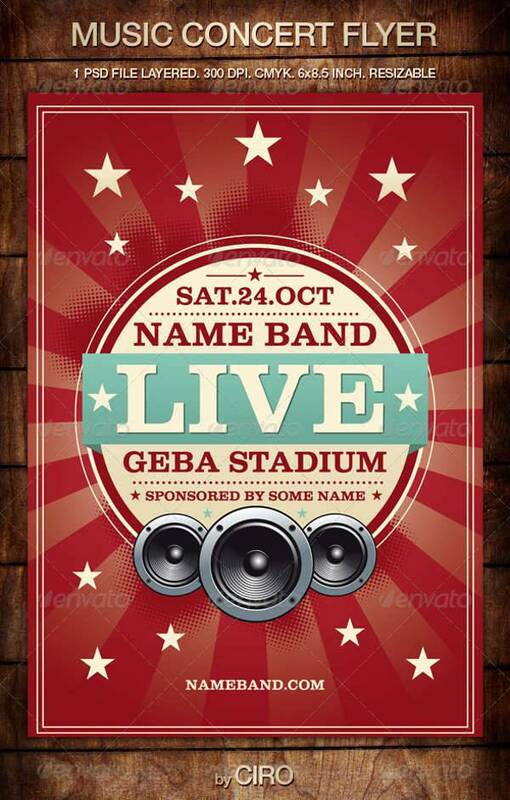 Name of the Concert or Festival – Creative bands and artists usually have a catchy title for their concert while others are simply self-titled. Make sure that gets the most attention in the flyer. That’s what draws people in. 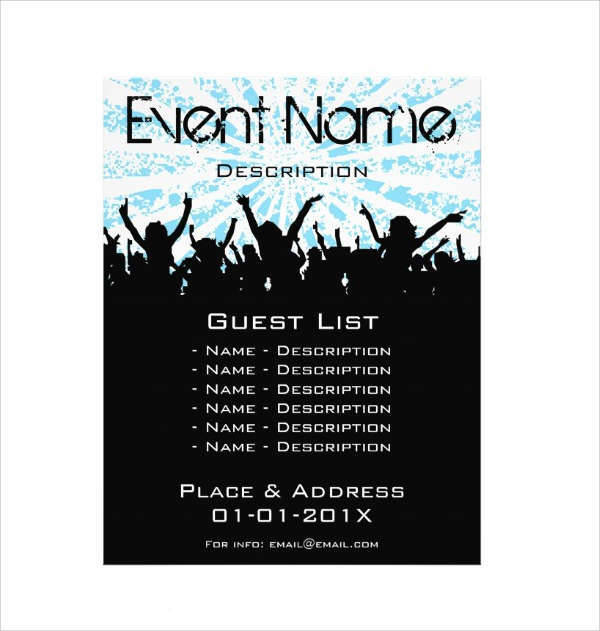 Date, Time and Location – Never ever forget to put in the date, time, and location of the event. We want to make sure the audience actually arrives at the right place on the right day and on time. 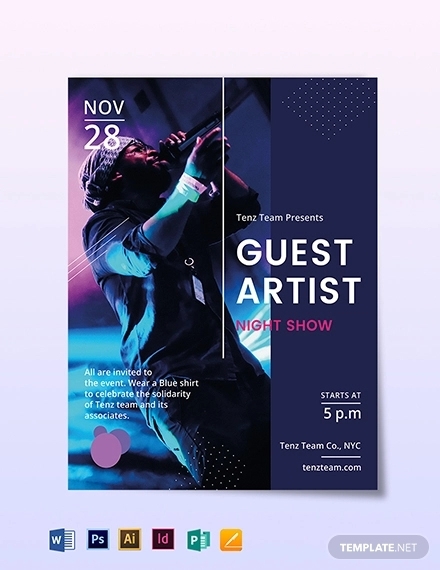 Guest Performers (if there are any) – If the main artist has a guest performer, include that in a special section on your flyer. You can always indicate there’s a special performance if you want to keep it a secret until the day of the event. 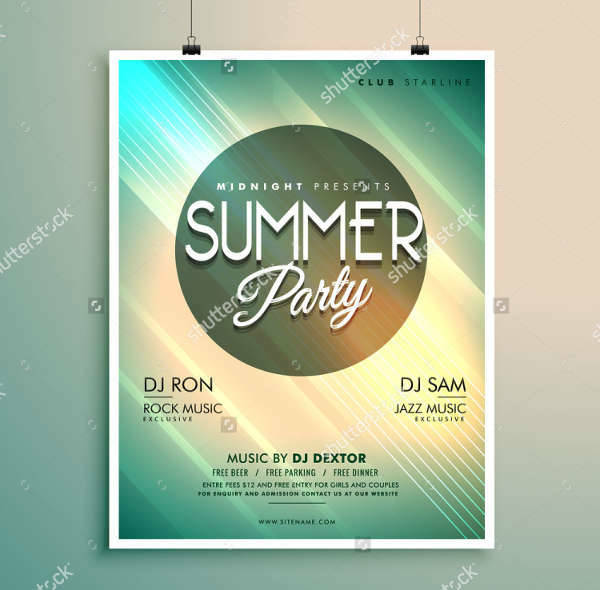 Headliners (for music festivals) – Since music festivals feature a long list of performers, there’s usually a headliner or group of headliners who are the main attraction. 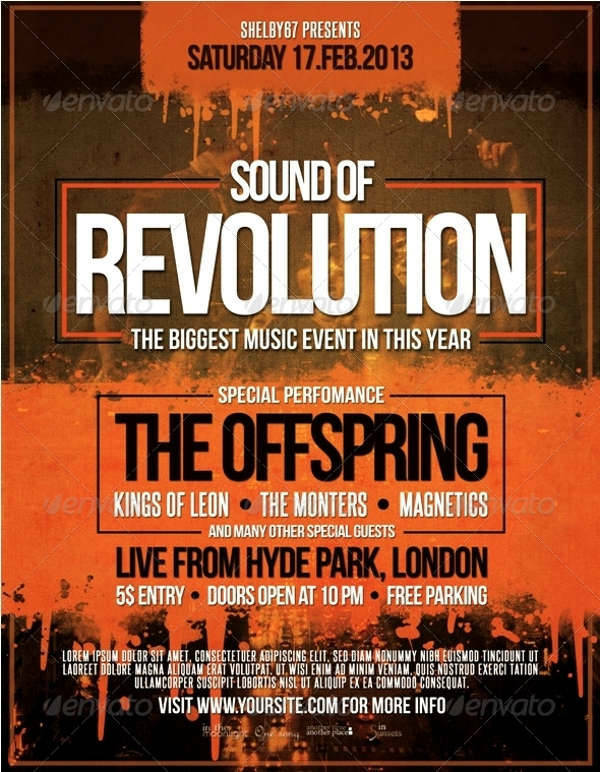 Without having to say outright who the headliners are in a flyer, they are usually featured using the largest font size while the rest of the line-up is written in smaller text. 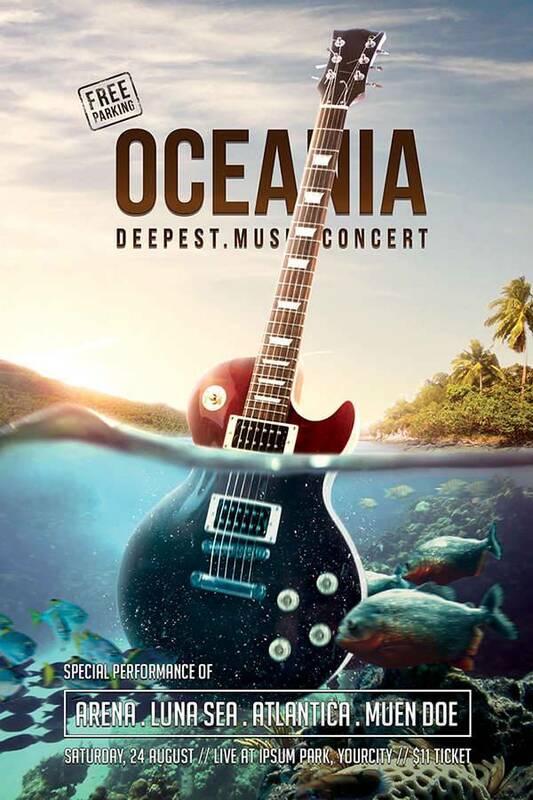 Ticket Prices and Contact Info – Unless it’s a free music event (if so, that should be indicated on the flyer), ticket prices should be listed to give the audience a heads up. These are usually located at the bottom part of the flyer including the organizer’s contact details for inquiries. 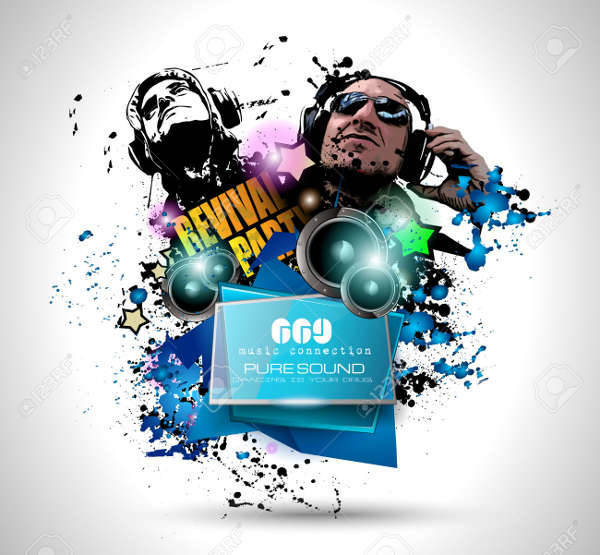 Since your music flyers are the official invitation to the public, they should be visible in almost all platforms, while keeping your target market in mind. 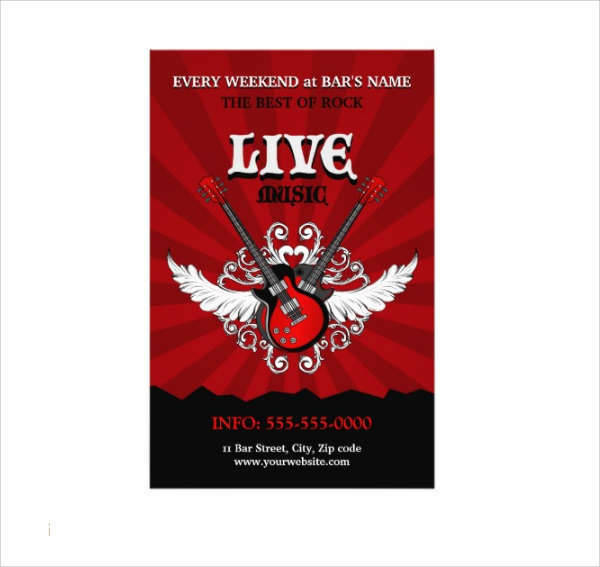 For printed flyers, it’s a good idea to put them up in public areas where most music-savvy people frequent like cafe’s, restaurants, music lounges and malls. 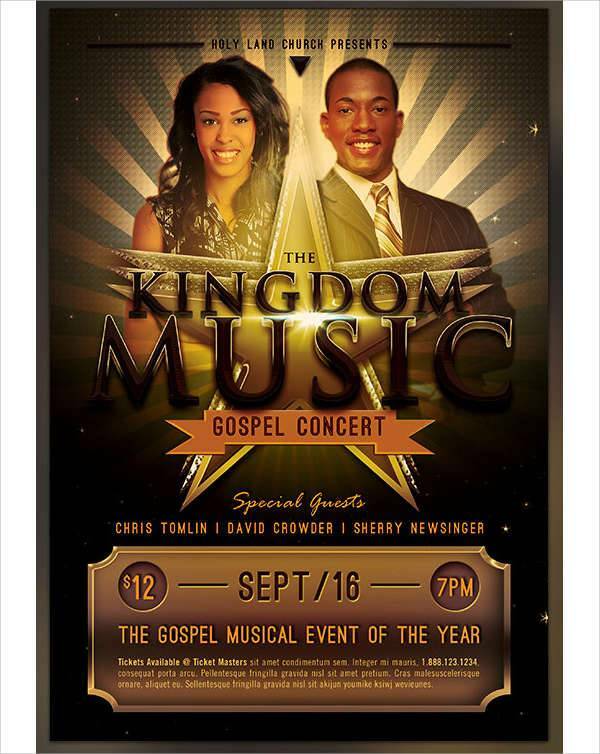 Flyers should also be very visible around the concert area days or weeks before the event to increase proximity. 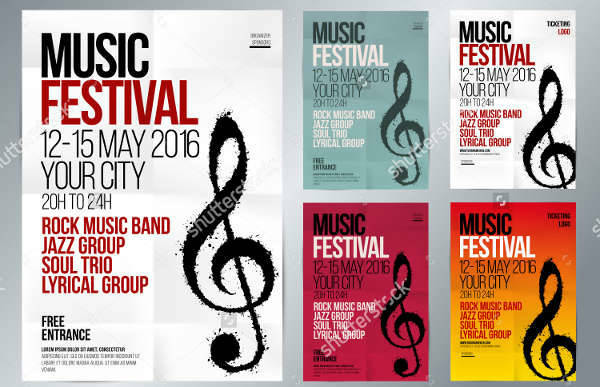 Online flyers should be advertised regularly and frequently specially when the concert or festival is fast approaching. Flyers online can have more creative freedom since you can post multiple ads in a short amount of time. The life span of promotional posts are also relatively short so it would be a good idea to have multiple options for online flyers. 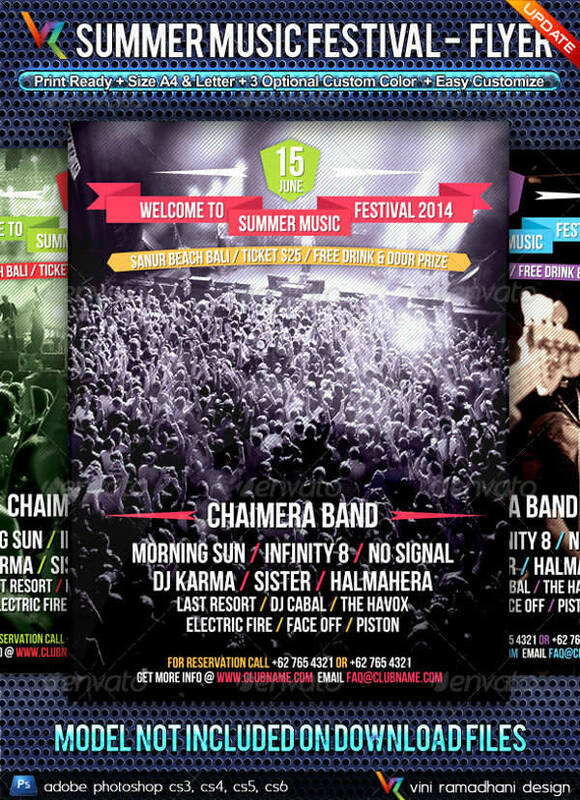 Concert and festival flyers are a pretty big deal. 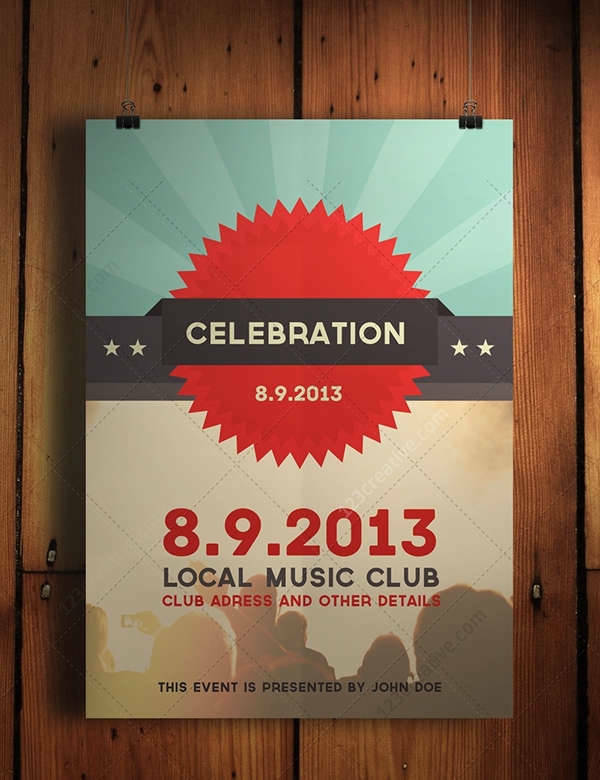 One should dedicate a specific amount of time in conceptualizing and designing the official flyer for a music event. There is often tedium, yes, but it’s all part of bringing the concert or festival feel closer to the possible attendees. It not only informs but amps the hype and excitement. 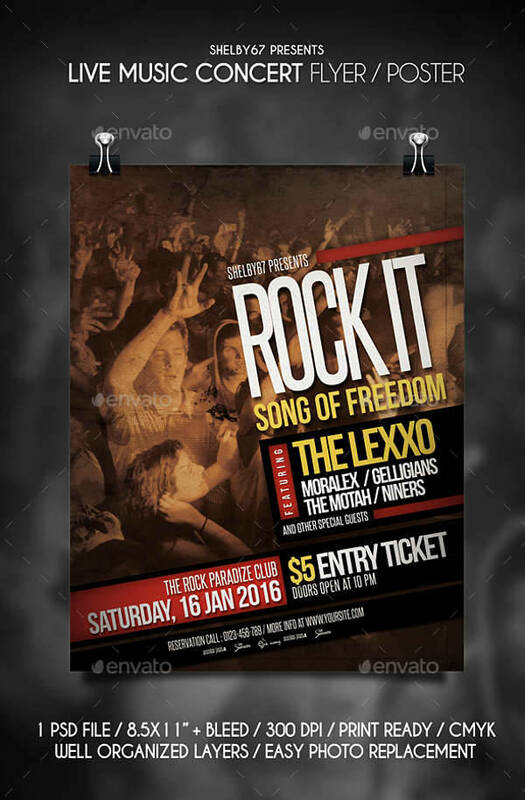 Get started with your own flyer design and be inspired by the designs we’ve listed.